We’ve all heard how important flossing is for our dental health, but do we really know just how critical it truly is? 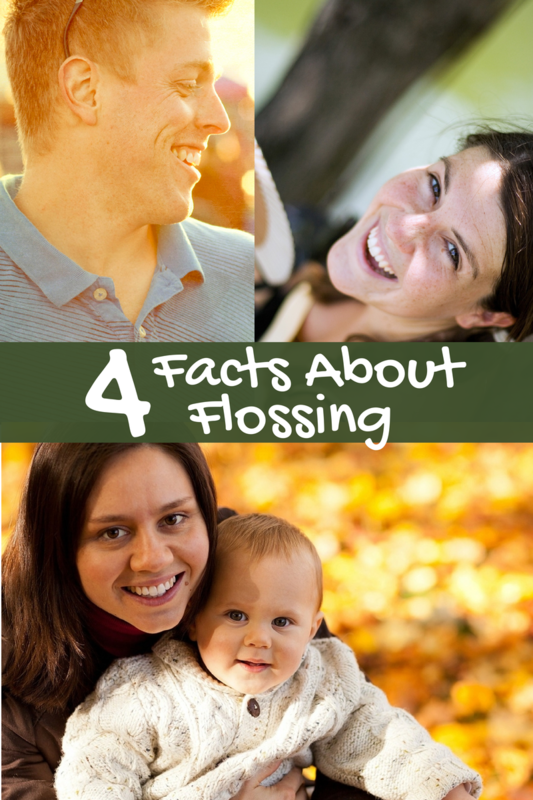 Check out these four fast facts about flossing to understand just how big of an impact flossing can have on your teeth. Even if you feel you don’t have time to floss, make an effort to floss after you brush. While three to five minutes per day is ideal, even just spending sixty seconds will be much better than forgoing flossing at all. An astonishing number of people suffer from gum disease and other gum problems on some level or another. These problems may not happen all at once but will develop slowly over time, creating a more painful situation for you in the end. After you eat, small food particles can lodge themselves into tight spaces between the teeth resting along the gum. Some of these areas are where toothbrushes cannot reach, making it impossible to get without flossing. If this plaque is left to fester it will turn into tartar which can lead to problems such as gingivitis. Don’t let it get to this point, instead floss before your teeth can be affected. While most people report brushing their teeth on a regular basis, an alarming number don’t couple this with flossing. Flossing is just as important if not more so than just brushing. Floss is made to get between the tight spaces where food debris is more likely to reside. These are places that the toothbrush cannot reach, and should be taken care of before plaque can do its damage. When it comes to taking care of your teeth, flossing should be a top priority. For those who have bridgework, wide floss may be better. This is also a better solution for those who have bigger gaps between their teeth as it will more effectively get between every necessary area. Those who have unusually close together teeth would do better with waxed floss as it is easier to slide between the teeth. If you are uncertain as to whether you are effectively cleaning the plaque from your teeth, unwaxed floss may be the best option for you. This will squeak once it is placed against cleaned teeth. No matter what type of floss you choose to use, make sure to use it daily to get the best results. One of the main reasons people choose not to floss their teeth is a matter of difficulty. Traditional floss requires the use of both hands, manipulating it back across all the teeth seems too difficult for many. There are other methods that can be used such as a battery-operated electric flosser. This contains a floss string that will vibrate between the teeth. In addition to this, there are Y shaped tools with a piece of floss between them to more easily navigate between the teeth using one hand. These can be cheap and effective solutions to your flossing problems.